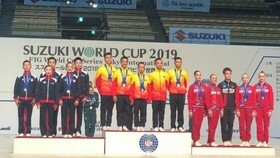 The Vietnamese sport delegation earned total two silver and one bronze medals by the end of August 18. 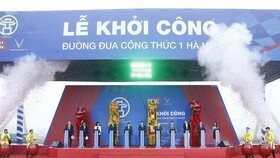 The first medals for Vietnam went to archery. 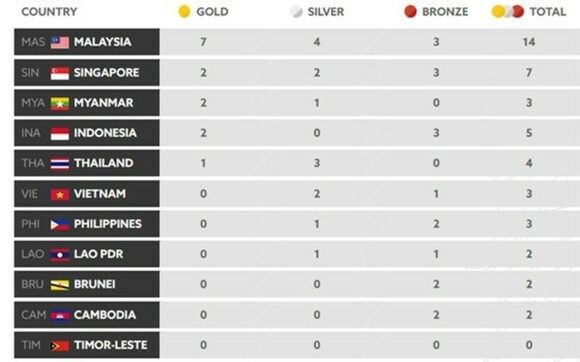 With the result, the delegation was temporarily ranked the sixth position of the 29th SEA Games' medal table. 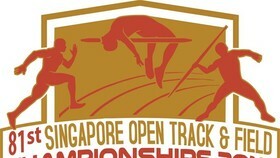 The host- country Malaysia was provisionally the first position with seven gold, four silver and three bronze medals followed by Singapore, Myanmar, Indonesia and Thailand. At the bottom of the medal table was Timor Leste.